The site was Hiltons, Virginia, a short distance from Bristol, the “Birthplace of Country Music,” where acts including the Carter Family made some of the very first country recordings. Just three miles down a narrow country road from Hiltons, in a large wooden structure known as the Carter Family Fold, Cash was introduced by one of the Fold founders, Janette Carter, the daughter of Sara and A.P., two-thirds of the original Carter Family with Maybelle Carter. 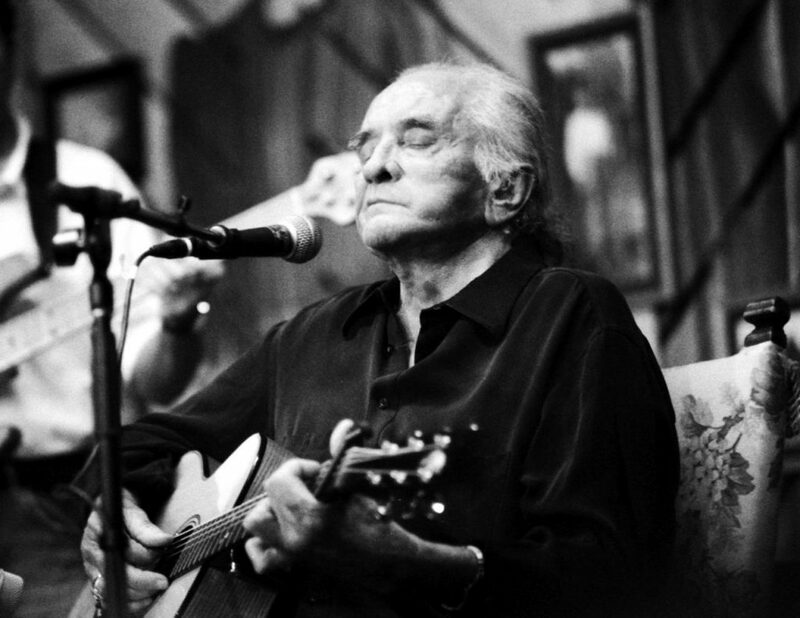 Cash, who toured and recorded with the Carter Family throughout the Sixties, would later become inexorably linked to the family when he married June Carter, the second of Mother Maybelle’s three daughters. The spirit of June Carter overshadows me tonight with the love she had for me and the love I have for her. We connect somewhere between here and Heaven. She came down for a short visit, I guess, from Heaven to visit with me tonight to give me courage and inspiration like she always has, she never did want for me except courage and inspiration. I thank God for June Carter. I love her with all my heart.